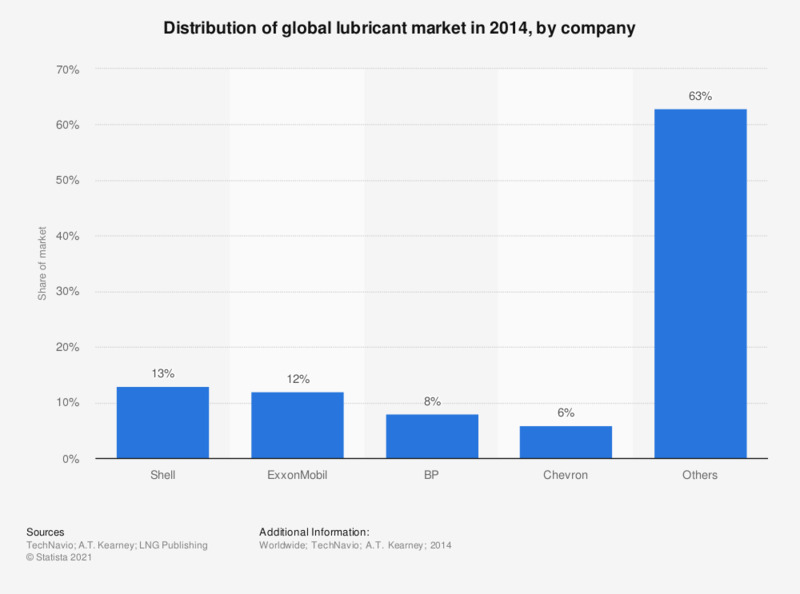 This statistic outlines the distribution of the lubricant market worldwide in 2014, by provider. In that year, Royal Dutch Shell, commonly known as Shell, produced 13 percent of the global lubricant supply, while ExxonMobil produced 12 percent. If you were to dispose of used lubricant in the next months, how would you do it?